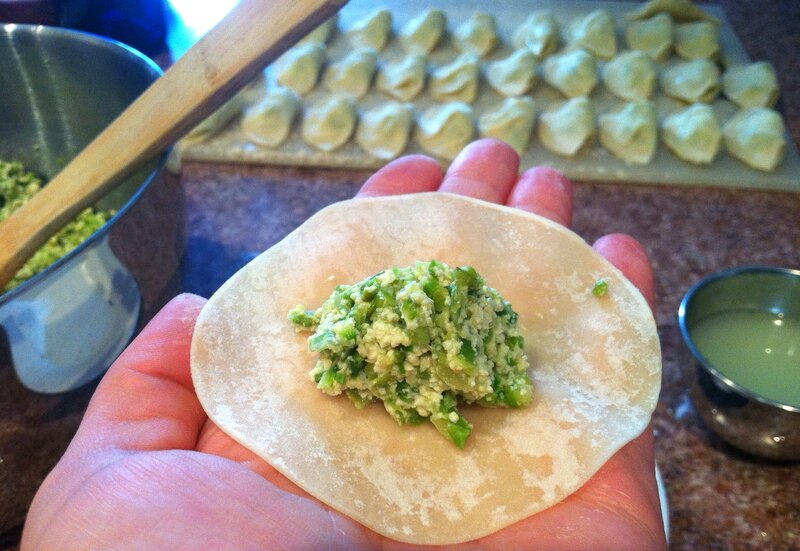 Veggie Dumplings! – ugly food tastes better. 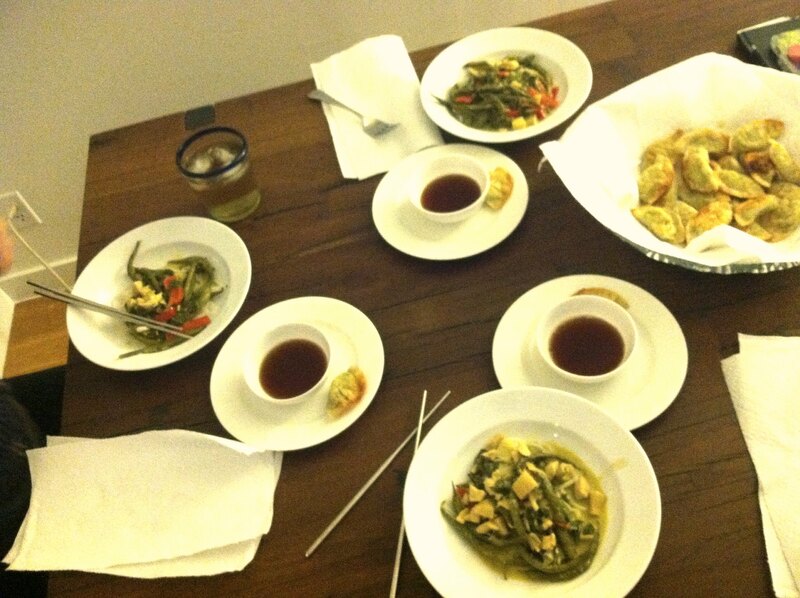 I have gone dumpling crazy. After the dumpling tour I have wanted dumplings every day. 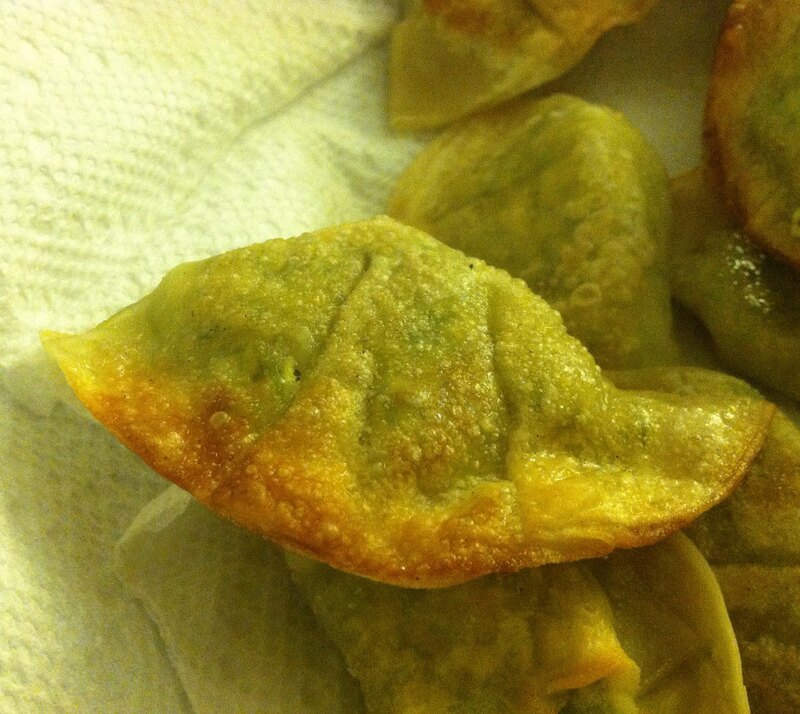 And after seeing that post, Eliz evidently wanted them really badly too, as she emailed me Smitten Kitchen’s Spring Vegetable potstickers as what we should make for our dinner night. And so we did. And of course I made some thai green curry as I seem to be making it every other week lately. 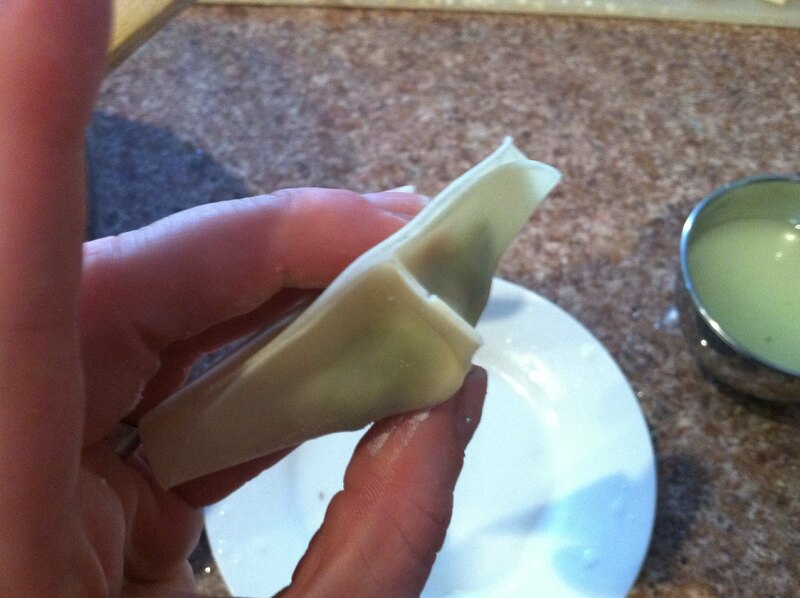 As this is not my recipe, I will just tell you what we changed and show you how I like to fold my dumplings. We used string beans, long beans, asparagus as our veggies and used garlic scapes instead of chives. 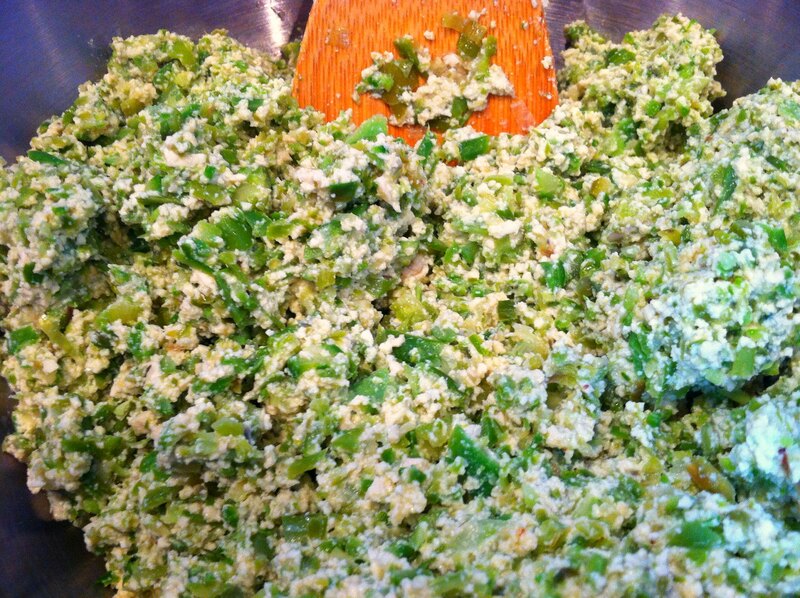 This was the beautifully blended veggie tofu mix…. And this is making dumplings! You will need a finger bowl of clean, cool water. 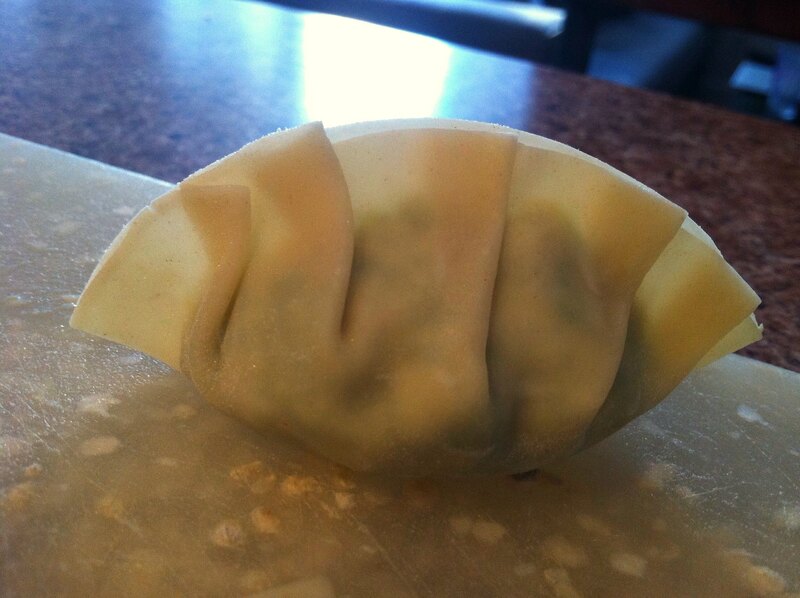 Plop a ball of filling (a rounded tablespoon) slightly off center on your wrapper. 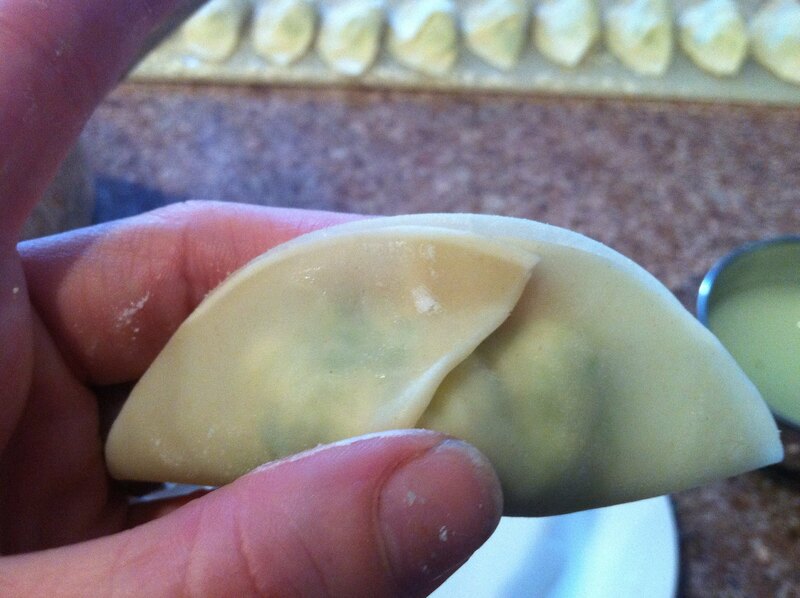 Dip two fingers in the bowl and run them along the edges of the dumpling wrapper. Then fold in half. Sides will not line up, so pinch the dough until they are close to matching, while still leaving gaps for further pleats. Fold this over and pinch to close. Congratulations. You have made a pleat. Now make two smaller pleats on either side of that one until you have made a matching half moon dumpling! You might as well put something fun on TV now cause its gonna take you a bit of time to fold all these babies, but its totally worth it. 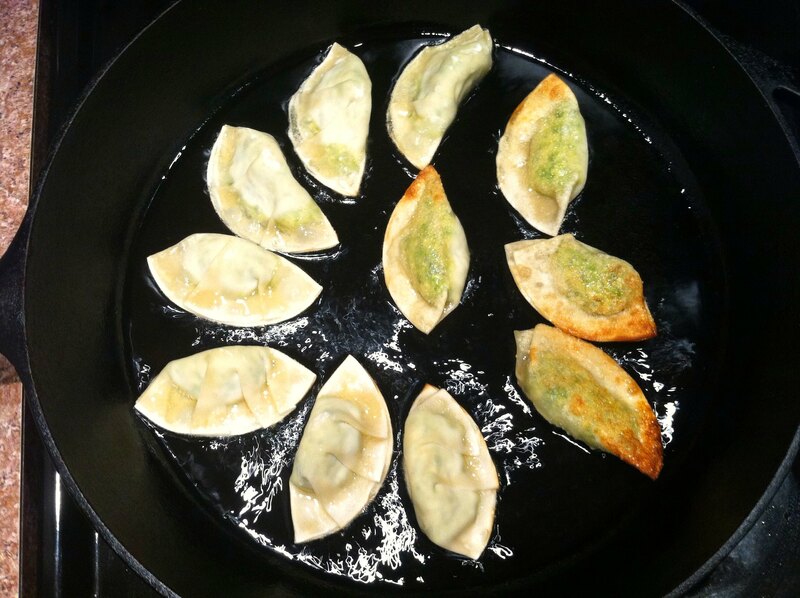 Then you can fry them in a shallow pan of oil or steam them in a bamboo steamer and serve with dippy sauce! If you are frying, cook in hot oil for a minute or two on each side, flipping as you go so they brown evenly, then drain on paper towels before serving. Pingback: Chinatown dumpling video tour! | ugly food tastes better.